A talented, experience and entertaining culinary educator, STEPHEN LEE is ready to share the joys of quick, tasty, easy and healthy cooking with your school, group or organization. A specialist in using the vast array of culinary herbs and spices many folks call him The HerbMeister. Stephen Lee's culinary interests are a result of a 'burgoo-ish' food heritage. 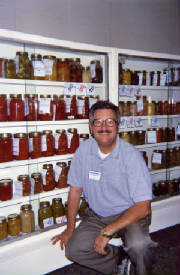 Born in Evansville, Indiana and reared in Louisville, Kentucky, Stephen studied at the stovetop of his southern-cooking mother, at the hand and in the herb garden of his country-cooking grandmother, in the fields of his melon and strawberry-growing grandfather and in the bowels of a century-old germanic neighborhood bakery. University culinary training and personal tutoring by Irish-born, French-trained Master Chef Harvey Colgin prepared Stephen for his work and continuing education in the everyday-academies of small cafes, fine restaurants, banquet hotels and cooking schools. Founded The Cookbook Cottage, known worldwide for its unique collection of cookbooks. Sadly closed in July of 2000. Considered a 'culinary grandson' of the renown French Master Chef Auguste Escoffier, the King of Chefs and the Chef of Kings. Escoffier established the modern menu sequence and standardized the way recipes were written. His book, 'Guide Cuinaire,' is still considered THE authority in the professional kitchen. Owned and operatred The Cookbook Cottage, Kentucky's only cooking school for over fourteen years. 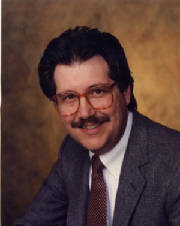 Twice Chairman of the Cooking Schools and Teachers Committee of the International Association of Culinary Professional.